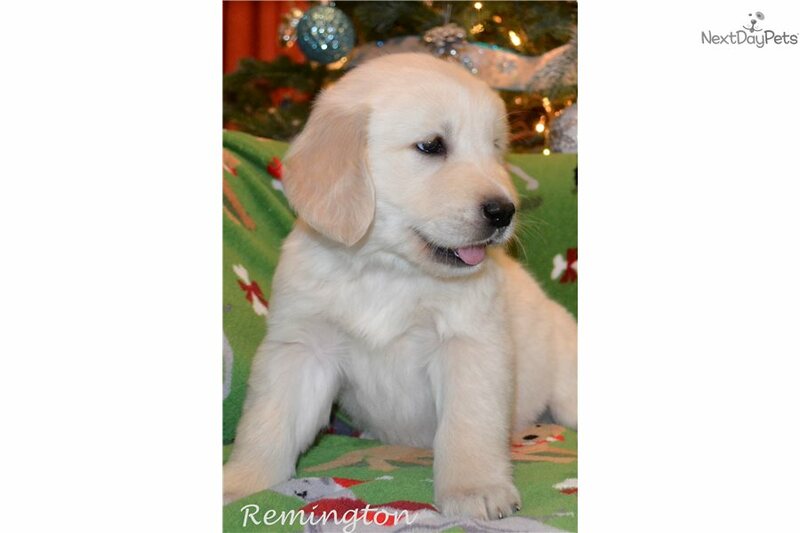 Remington - Sold - Siblings Available. Meet Remington. Super fun boy with lots of energy! He is 1 of 8 gorgeous pups that we have available! Puppies will be vet checked, be up to date on shots and be dewormed. They will be well socialized and raised around children. Dad is an English Cream and is a super lovable dog. Mom is a Golden and a real sweetie. Price is for partial registration only. Contact me for breeding rights. Deposit is $300 and is non-refundable. I can fly a puppy to you if needed. Here's North Wind Goldens Facebook page if you're interested in checking it out.